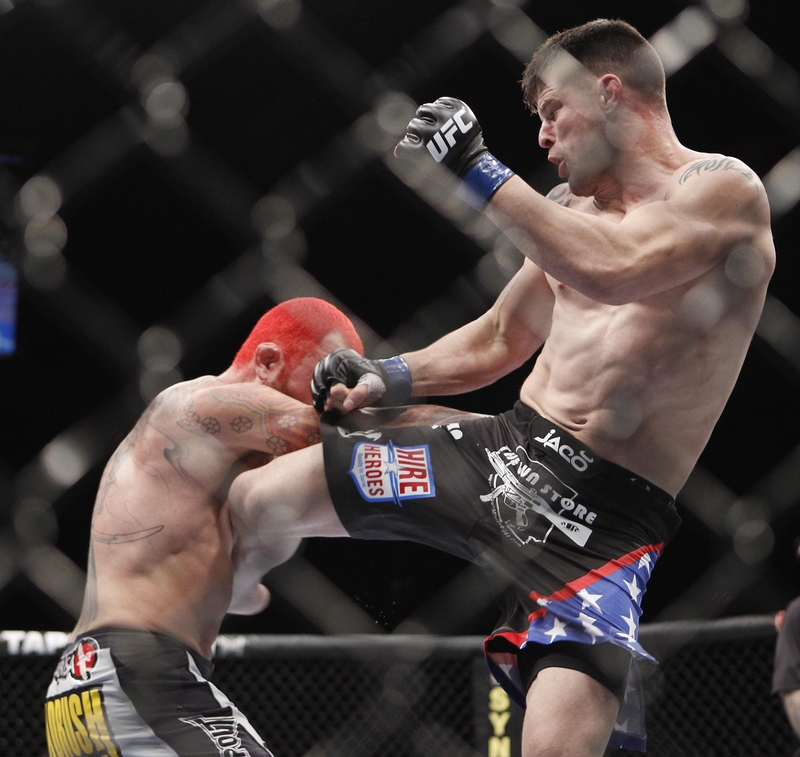 Former Marine captain and UFC pro Brian Stann is partnering with the Call of Duty Endowment this Memorial Day weekend to raise money for programs that help place unemployed veterans in jobs. You don’t have to actually empty your pockets to help. Just “donate” your Facebook status by visiting the endowment’s page here. For every person that does, the endowment will give Stann’s organization — Hire Heroes USA — $1 for a grand total of up to $50,000. After transitioning to civilian life in 2008, Stann, who received the Silver Star for actions in Iraq, helped organize his own non-profit Hire Heroes USA. The organization provides job search training to troops from all branches through on-base workshops and resources at www.hireheroesusa.org. The organization now places at least two former service members in jobs each week. Stann also plans to help troops and veterans with his soon-to-open gym called Warrior Legion MMA in Alpharetta, Ga. It’s doors will officially open after July 4 and its instructors will include up-and-coming fighter Sgt. George Lockhart who is a Marine Corps Martial Arts instructor at Quantico, Va. Stann and Lockhart, who is about to finish his time in the Corps, will be joined at the gym by big-name fighter Tom “Kong” Watson. Stann not only plans to employ veterans, but he will allow those recovering from injuries to train for free. “Specifically as we find veterans who may be suffering from post-traumatic stress, they are going to be allowed to train there for free because I’ve seen first hand how martial arts can affect those kinds of stresses for veterans and help them cope with the difficulties of reintegrating into society,” he said. My name is Casey Colclough and I am a CPA here in Atlanta, GA. I was not aware Hire Heroes USA was in Alpharetta until I saw Brian’s coverage on TV. I am 34 and I am not a vet but would love to be involved in this awesome organization in any way I can.